Guiseppe Piva, Milano Italy. antiquariato giapponese. JANM. Americans of Japanese ancestry.
. Manyo'an Collection of Japanese Art . .... EDO POP: THE GRAPHIC IMPACT OF JAPANESE PRINTS . All That Glitters in Japanese Art, From the Rimpa School to Kayama Matazo” . Reference : museums "Japanese Art"
. Museum Art and Haiku . Over the past four decades, Kimiko and John Powers amassed what has become recognized as the premier collection of Japanese art in the United States. One of the largest and most comprehensive collections outside of Japan, the Powers Collection contains 300 works, including 17th- and 18th-century scholarly paintings, hanging scrolls, Buddhist wood and lacquer sculptures, calligraphy, and illuminated documents. Unrivalled Splendor showcases more than eighty artworks from this vaunted collection, featuring breathtaking masterpieces as well as related works that illustrate the religious, social, intellectual, and aesthetic values of Japan across several centuries. 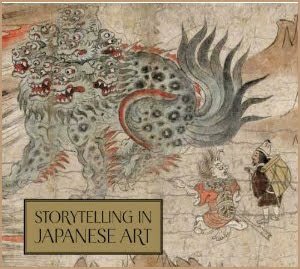 An essay by Miyeko Murase and texts based on the research and writings of John M. Rosenfeld discuss these diverse and important objects, which tell the story of Japan's artistic development and its enduring cultural heritage.